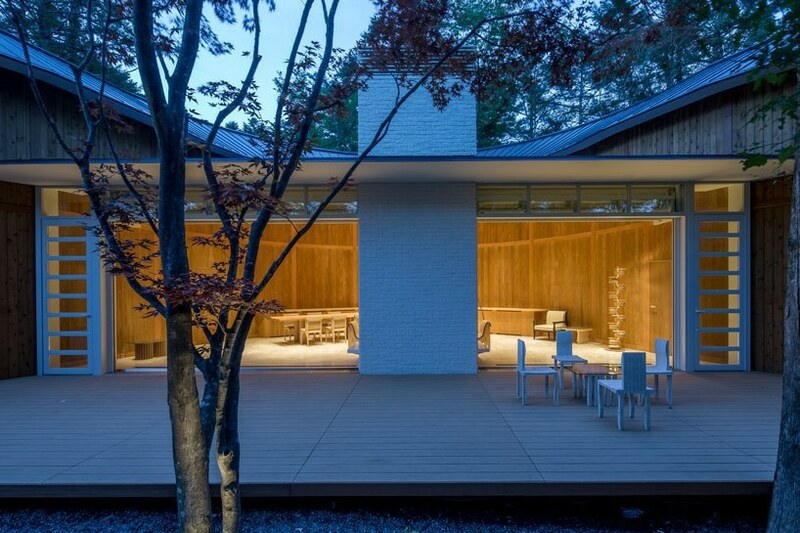 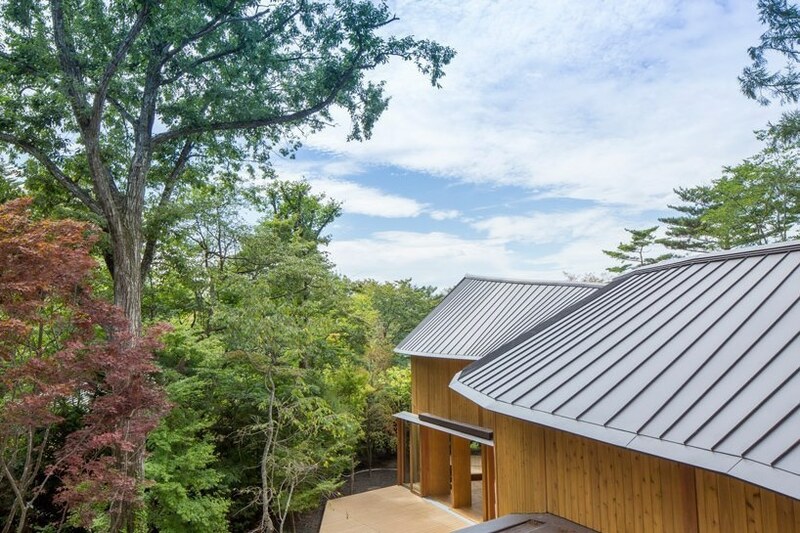 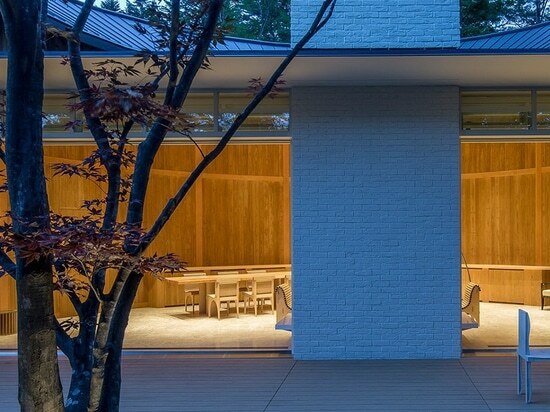 shishi-iwa house, a ten room boutique resort designed by pritzker prize-winning japanese architect shigeru ban, opens in karuizawa, japan. 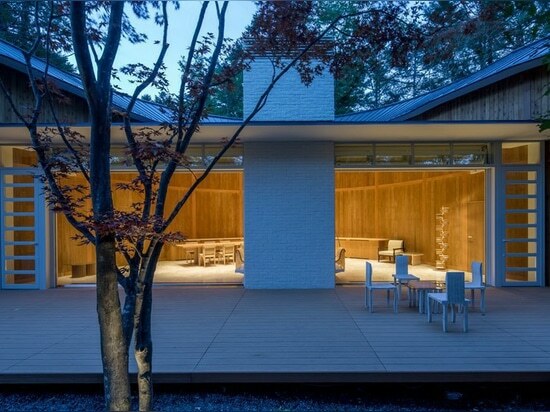 encouraging both private and social programs, the property is characterized by a flow of unique, humanistic spaces. 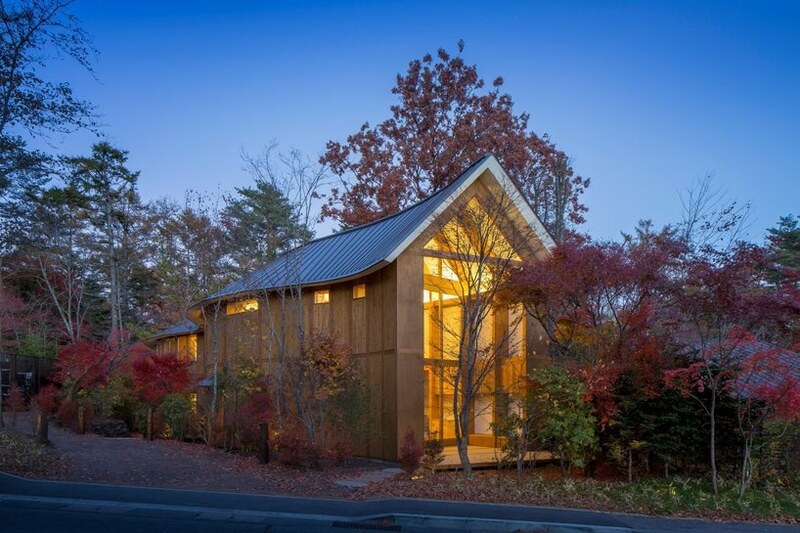 each guestroom is a meditative retreat in itself. 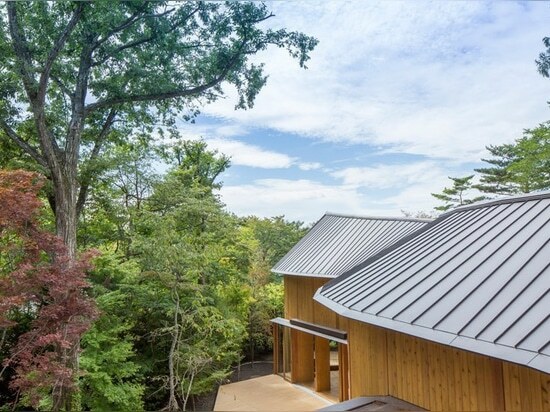 guestrooms on the lower floor open toward a private garden, offering individual outdoor access while upper floor rooms incorporate a private balcony terrace. 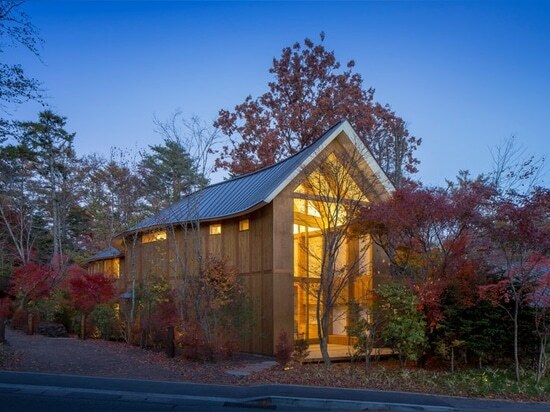 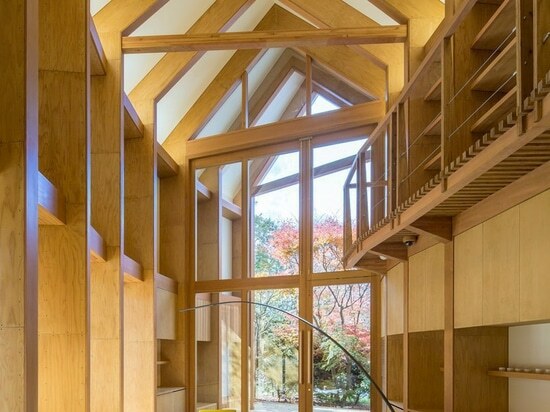 widely known for his use of cardboard, shigeru ban integrates timber and paper tube elements into the bedroom and public interiors, introducing a unique atmosphere. 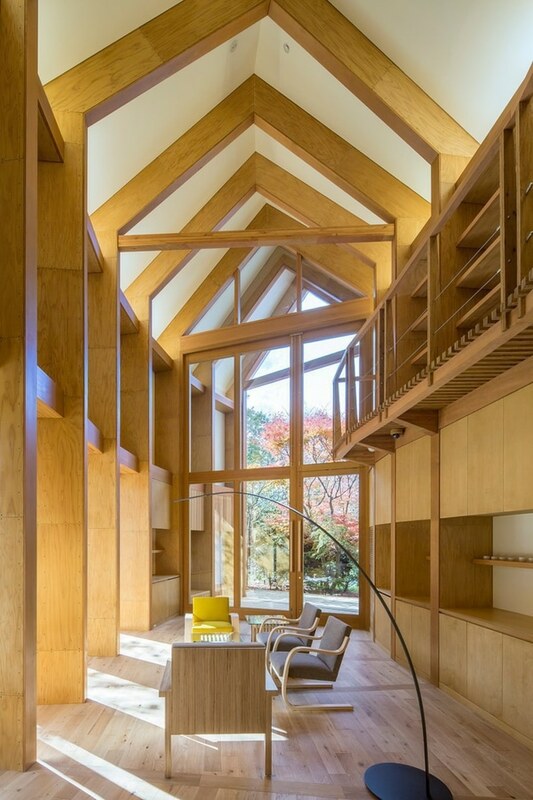 together with his own designs, shigeru ban has selected furniture by alvar aalto, one of the most widely known and accomplished architects.